“American Idol” winner David Cook recently talked to People about dating and his life since the show ended a few weeks ago. He also said that he would eventually love to have a family of his own, but that he’s “got the world to learn” first. Meanwhile, the American Idol producer Nigel Lythgoe said that David Cook, could be “enormous for a long time”, but only if he gets a personality first. In the interview, the American Idol producer revealed, “He can certainly sing – and I’d like to see a bit more personality when he’s singing.” In fact, Nigel Lythgoe continued both of this season’s finalists, David Cook and David Archuleta lacked on-stage charisma. 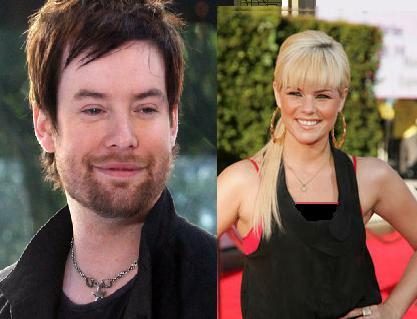 Nigel Lythgoe continued David Cook has the potential for success to rival that of Idol alum Chris Daughtry. He suggested that both of the Davids use their summer “American Idol Live” tour to add a spark to their performances. However, David Cook is already experiencing success. His first single, “The Time of My Life,” debuted at No. 3 on the Billboard Hot 100 chart this week. Tickets for the tour, which begins July 1, are on sale now.